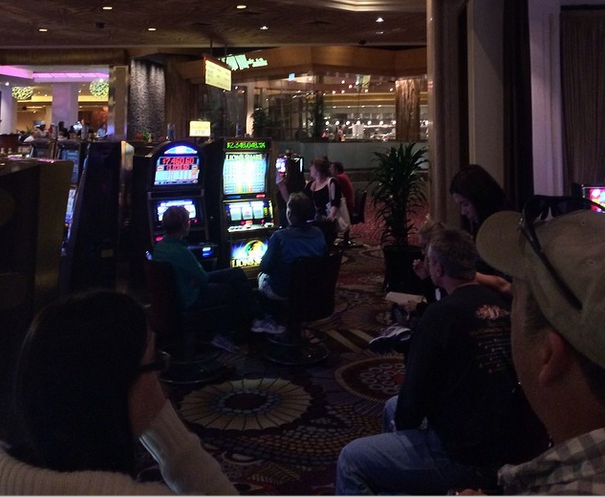 This morning at 9:30 am there was a line of 6 people waiting to play the Lions Share slot machine at MGM Grand. There’s no time limit to play the game so you could stand around for hours waiting. The $2 million jackpot on this slot machine has made this game popular for years with Vegas dorks like me. Since a massive PR campaign landed the tale of Lions Share on a ton of websites, the masses have turned out and lines are now out the wazoooooooo. I don’t do lines – especially for a slot machine! Slot machines are generally played people 55 and over, most of whom are women. 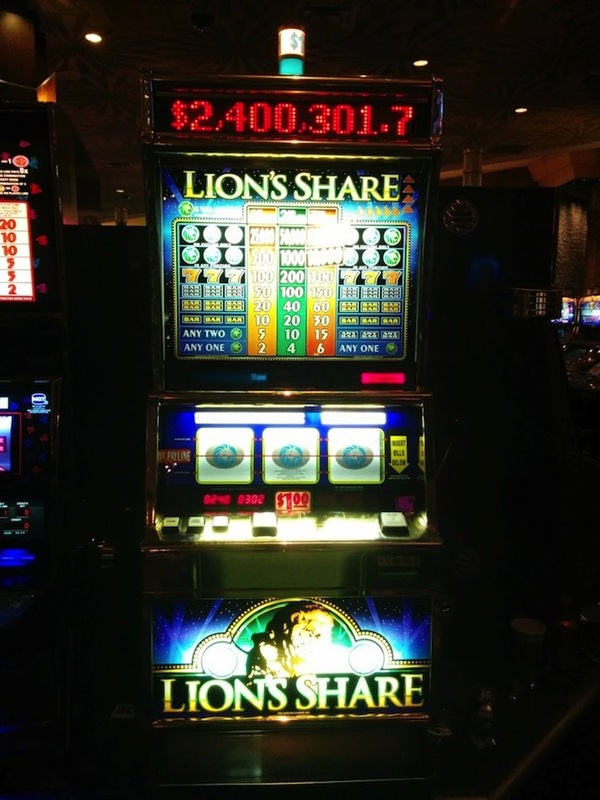 The best time to play Lions Share (or any slot machine) is when the elders are sleeping. Head over to the game during the overnight hours to snag your turn at the game. Your best bet to get on Lions Share without waiting is probably around 3 am but you should find the game available with little to no wait from 12 am to 5 am. Any time after that you’ll be waiting with the masses. Good luck!